The following contains spoilers from both Homeland and The Hunger Games: Catching Fire. DA- A stubborn young woman, excellent at her respected craft, is yet again putting herself in harms way to help the people she cares about the most. Her name? Katniss Mathison. No, wait. Was it Carrie Everdeen? 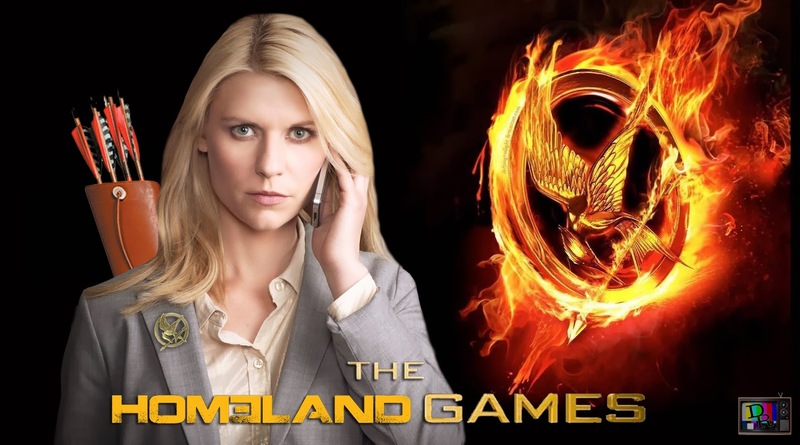 This weekend during The Hunger Games: Catching Fire when Jennifer Lawrence was on-screen battling others that wanted her dead, all I could see was Carrie Mathison from Homeland fighting off the latest terrorists threatening America. While these two women are the stars of two wildly different pieces of entertainment, there are many similarities between the two (at least to someone who has never read the books by Suzanne Collins but enjoyed both movies). First, let us look at Katniss Everdeen, played by Academy Award winner Jennifer Lawrence. Katniss is a stubborn young woman who is an expert archer that lives in District 12. Not wanting to see her sister die in the 74th Annual Hunger Games, she volunteers to take her spot. She will do anything to make sure her family and district is not put into harm’s way. This includes following President Snow’s orders of faking her relationship with Peeta for the cameras, as well as reentering the games for the 75th year. Katniss also has a very complicated love life. She is unsure if she really loves Peeta Mellark or Gale Hawthorne (her original boyfriend before the games started). This relationship continues all for public appearance until it gets much messier in their second trip to the arena. 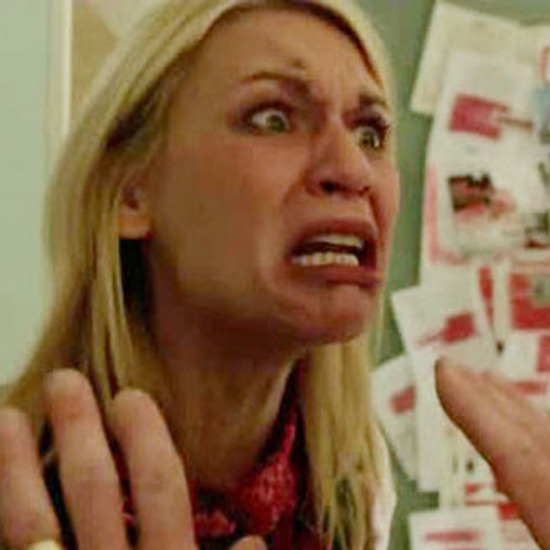 Next under the microscope is Carrie Mathison, played by Emmy winner Claire Danes. Carrie is a CIA officer living in Washington D.C. (or the DISTRICT of Columbia). At work, while she is great at what she does, she is often difficult to work with because, like Katniss, she is unsure of who she can really trust. She is willing to go undercover, like in the beginning of season two where she traveled to Beirut or most recently, by working as a “double agent” this season with Majid Javadi. As for Carrie’s love life? While she wanted to keep it private, being intimate with the world’s most wanted terrorist is hard to keep under wraps for long. What started as a possible fake relationship to undercover Nicholas Brody’s true allegiance, it is clear now that Carrie is really in love with him and is worried what everyone else will think of it. Speaking of Brody, this season Carrie is now pregnant with Brody’s child. To many this twist came out of nowhere. 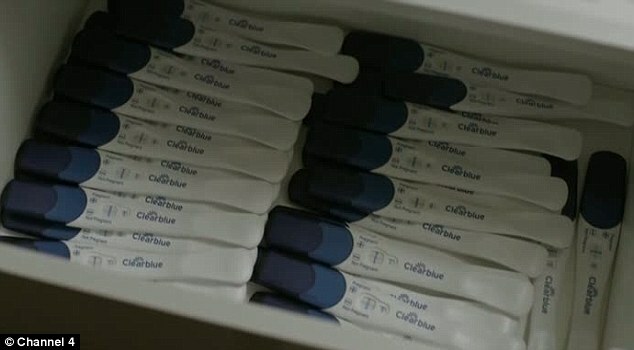 (It was at least three months between their last encounter and the reveal of the ridiculous drawer of positive tests. For the audience there was hardly any sign or clue alluding to this moment beforehand). While I am unsure how her medication and heavy alcohol use will affect the baby, at least Katniss has nothing to worry about with her “baby.” Katniss was never pregnant and instead it was all a lie created by Peeta to excite Caesar Flickerman’s audience. Many of these audience members were angry about this bombshell and so were the real life viewers not ready to imagine pregnant Carrie possibly being sidelined babysitting Brody’s kid in future seasons. I’m looking at you Dexter seasons five through eight! There were many things for me during my screening of the second Hunger Games film that reminded me of Carrie. From Katniss being dragged back screaming on her Victory Tour (much like how Carrie was in the mental hospital this season) to when both women wake up in the middle of the night screaming from nightmares, Carrie and Katniss really started to blend together for me. Finally, there were even some of the famous “cry face” emotions from both of our protagonists (even though nobody can beat Carrie’s). However, it was not until the big twist involving Plutarch Heavensbee that I knew something could be here. Then again it may be the effect of all that artificial butter from the popcorn reacting strangely with the box of Milk Duds I woofed down before the movie even began. As I have said I have not read the books so I was completely in the dark that Plutarch Heavensbee, the gamemaker played by Philip Seymour Hoffman, was actually an ally of Haymitch and the gang and was trying to get Katniss out safely. In the end, it was all one big plan to attack the Capital and President Snow. Now this season on Homeland while Carrie was aware of the deal she had with Saul Berenson, the audience was also oblivious to this twist. While it does not make sense why Carrie would “act” that she was surprised by all the things Saul did to her even in the privacy of her own home if she was already in on the plan (which I complain in more detail about on the podcast), there is still a definite similarity in basic concept. Two seemingly opposing sides were actually working with one goal in mind; take down the true enemy. Whether this “bad guy” is an Iranian terrorist group or the empire controlled by Kiefer Sutherland’s father, in both instances the majority of the audience’s jaws dropped to the floor when all of this was revealed. 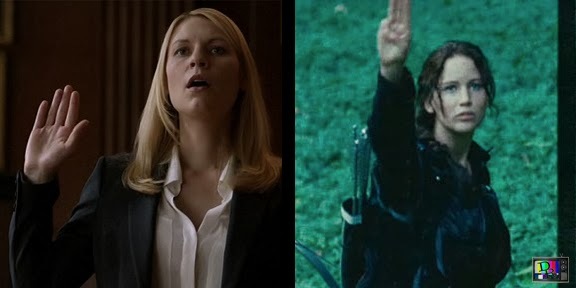 Is there any other comparison I missed or am I completely off of my lithium medication à la Carrie Mathison? I mean they both live in worlds where somebody could be killed by a pacemaker remotely or by “artificial” baboons created by software engineers at the Apple Genius Bar. Are there any other character juxtapositions besides Carrie/Katniss and Saul/Plutarch that you see? 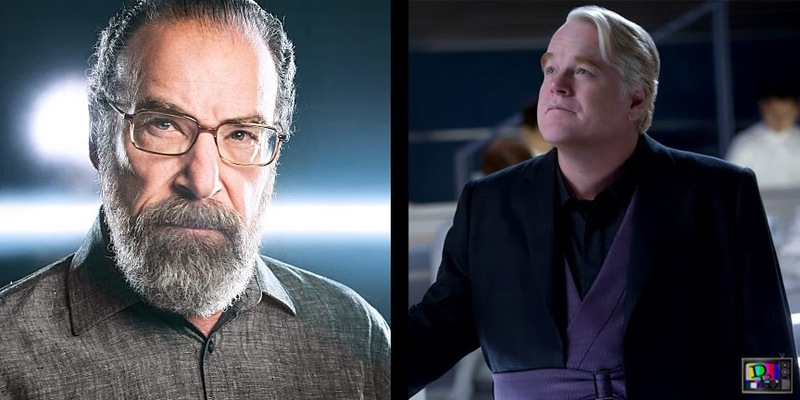 If Saul is Plutarch does that make (soon to be CIA director) Senator Andrew Lockhart the new President Snow? Let me know in the comments or @eastwoodmcfly on Twitter! Until then may the Saul be ever in your favor! Podcast Episode 41: Winding Down: Lady Gaga on "SNL" "Almost Human" & "Parks and Recreation"
In this week's episode we discuss the Andy Kaufman death mystery (1:59), Netflix's revival of The Killing (8:04), and the rumored It's A Wonderful Life sequel (13:53). We also wind down Saturday Night Live's Lady Gaga episode (19:42), the two-night premiere of Almost Human (35:59) and Parks and Recreation's "Filibuster/Recall Vote" double feature (51:15). Every week we will discuss a show picked by the listeners and to vote on what show we should cover in two weeks be sure to use our survey by clicking here. Podcast Episode 40: Winding Down: "Hello Ladies" "The Returned" & "It's Always Sunny in Philadelphia"
In this week's episode we discuss the guest stars of season five's Community (2:04), Sacha Baron Cohen's prank at the 2013 BAFTA Awards (8:20), and what crazy things Charlie Sheen has done now (13:50). We also wind down Hello Ladies' "The Wedding" (19:29), the U.S. premiere of The Returned (33:06), and season nine of It's Always Sunny In Philadelphia (49:46). 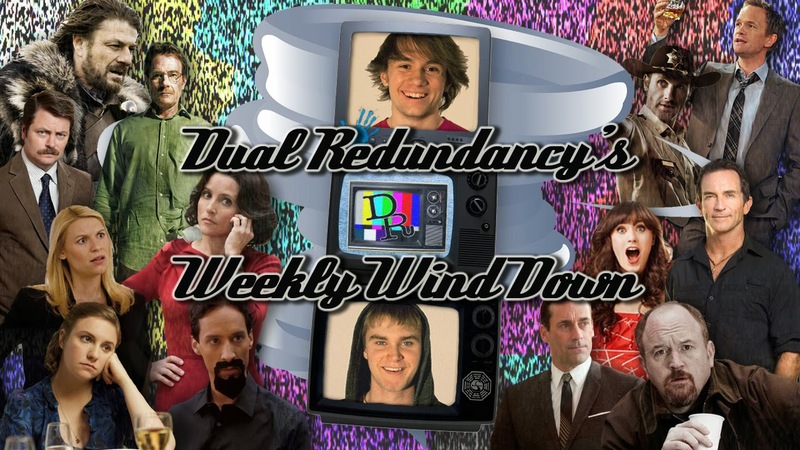 Podcast Episode 39: Winding Down: "Survivor: Blood vs. Water" "Trophy Wife" & "New Girl"
In this week's episode we discuss Dexter being added to Netflix (1:53), the How I Met Your Mother spin-off (7:14), and new pilots from Tina Fey and Steve Carell (12:55). We also wind down Survivor: Blood vs. Water's "Skin of My Teeth" (18:55), Trophy Wife's "The Date" (30:48), and New Girl's "Coach" (43:25).